Leroux works hand in hand with local farmers in order to offer the best quality products. 150 years of industrial, commercial, advertising and environmental initiatives have given to Leroux Chicory his position as a key-player on the market. Chicory is a root full of benefi ts ! In addition of being 100 % vegetal and kosher, chicory is an excellent source of prebiotic fiber (inulin), minerals and antioxidants. It is also gluten free and has low calories. 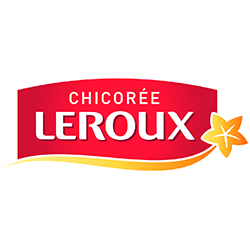 Leroux Chicory is a coffee alternative and when diluted in hot or cold water or milk, it provides a balanced and gourmet beverage that is suitable for the whole family. Mixed with coffee, Leroux Chicory reveals all the aromas and gives it roundness thanks to its light taste of caramel. Naturally caffeine-free, it also reduces the amount of stimulants in your hot beverage.